Can you represent yourself on an Impaired Driving / DUI charge? Never try to represent yourself. You can but should you? While you can defend yourself in court, it is not recommended. Defending yourself in court can be compared to giving yourself a root canal. Even if you have the technical skills to do the job properly, it still isn’t a good idea because you don’t have the proper perspective. Many lawyers focus their practice entirely on defending impaired driving charges. These lawyers know the system inside and out. Unlike you, they have the skills and experience necessary to get you the best possible results and also the perspective necessary to assess your case objectively. You might be shocked to learn how much time an impaired driving lawyer will spend preparing for your trial. A good defence requires hours of detailed preparation and in-depth legal research. You likely have neither the time nor the skills to do this preparation on your own. In the Hamilton area, Frank Genesee can get you the results that you can’t hope to get on your own. Call (289) 426-1644 today and take control of your life. 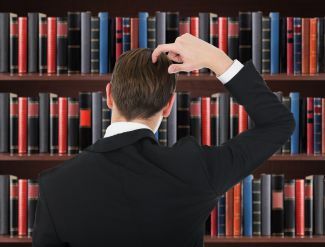 What does a skilled lawyer have to offer? Provide an objective assessment of your case. Identify the weaknesses in the prosecutor’s case. Identify and evaluate the evidence against you. Determine if there are any defences available to you. Determine if your rights were violated..
Find relevant evidence and witnesses to support your case. Retain and prepare an expert witness. Prepare for and conduct a trial. Have the charges against you reduced or dismissed. Get you the most lenient sentence possible if you are found guilty or if you decide to plead guilty. You don’t have the knowledge or experience to do all this for yourself, but luckily Frank Genesee does and is available to take your call today. Won’t I save money by representing myself in court? Significantly higher vehicle insurance rates and additional fees for “high risk” drivers. Loss of employment or business opportunities due to time spent in jail, loss of your driver’s licence or having a criminal record. 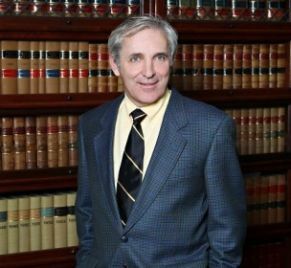 You are unlikely to obtain the same results that an experienced impaired driving lawyer like Frank Genesee can obtain for you. The penalties for an impaired driving conviction can be financially debilitating, which makes hiring a lawyer the more financially responsible choice. Talk to Frank Genesee today and get a trained, knowledgeable professional on your side. Talk to Frank Genesee before pleading guilty. Even if you intend to plead guilty to the charges against you, you can benefit from speaking with Frank Genesee before you enter a plea. Frank Genesee knows how to negotiate with the prosecution to reduce the charges against you and to obtain the best possible sentence in exchange for your guilty plea. Always speak with a lawyer before you plead guilty. You may have an absolute defence against your charges and not know it. Given the severity of the consequences of a conviction, you can’t afford not to call Frank Genesee today. Enjoy the advantages of having a trained professional on your side. Never assume that your case is hopeless. An experienced impaired driving lawyer like Frank Genesee has successfully defended others in precisely your position. Frank Genesee will review your case, set out your options and recommend the best course of action for you. You need the objectivity, skill, knowledge and experience of Frank Genesee to get the best possible results. Make the call today. You will be under no obligation. You have nothing to lose by calling (289) 426-1644 and setting up a meeting. Just because you can represent yourself in court doesn’t mean you should. Call Frank Genesee today and enjoy all the advantages of having an experienced impaired driving lawyer on your side.